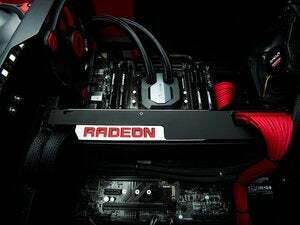 The company’s FirePro S9300 X2, announced Thursday, is AMD’s second-fastest graphics card to date. The product is targeted at servers and supercomputers, where GPUs are used to speed up visual and scientific applications. The new FirePro delivers a maximum single-precision performance of 13.9 teraflops. That’s shy of the 16 teraflop performance provided by the recently announced Radeon Pro Duo, a gaming GPU that AMD claims offers the highest performance of any single graphics card. Memory and bandwidth enhancements also improve the FirePro’s performance. It has 8GB of HBM (High-Bandwidth Memory), which is significantly faster than the older GDDR5 memory. HBM also consumes less space and is more power-efficient. 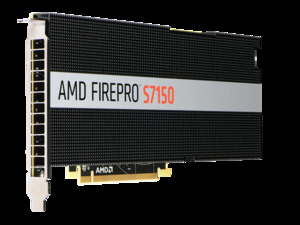 The new FirePro is AMD’s latest salvo on Nvidia, whose Titan X, with a single GPU, delivers peak performance of 7 teraflops. AMD may have a technological advantage in GPUs right now, but Nvidia isn’t far behind. Nvidia is expected to announce faster GPU technologies at its GPU Technology Conference next week. The technology enhancements could include a new GPU architecture, advanced memory and faster throughput mechanisms. At this point, Nvidia holds a larger market share in standalone graphics cards, while AMD’s share is declining. Nvidia had 74 percent of the standalone GPU market in the fourth quarter, up from 72 percent in the year-ago quarter, according to Mercury Research. AMD’s market share was 26 percent, down from 28 percent a year ago. Despite its technology achievements, AMD has failed to make a dent in supercomputing, where Nvidia is far ahead. Some of the world’s fastest computers use Nvidia’s GPUs, and AMD is trying to catch up. The importance of accelerators like GPUs has grown in supercomputing. GPUs typically take code and break it down in parallel over thousands of cores to process a task or calculate an equation more quickly. Nvidia’s success in high performance computing (HPC) has come partly with its proprietary CUDA parallel programming framework, which has locked supercomputers to the company’s GPUs.